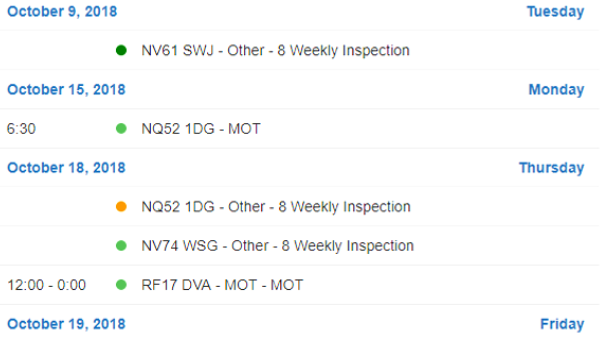 In the vehicle and asset management module, you can easily view inspections, MOTs, services, maintenance schedules and other bookings for your entire fleet in a calendar view. Viewing bookings in a calendar gives you an overview of the status of every booking at-a-glance. As standard, the bookings calendar view displays by calendar month, but you can also display a weekly calendar. And if you’d prefer, a task list per day, per week and per month can also be displayed. You can further refine the view by creating a search and click into a specific day or a specific booking to view all details. Even with a visual calendar and simple prioritisation, sometimes things could slip through the net. That’s why Stream can also be configured to send out automatic notifications when action is required against a booking, for example for vehicle bookings that need to be scheduled, and for booking dates that have passed without the booking being marked as complete. 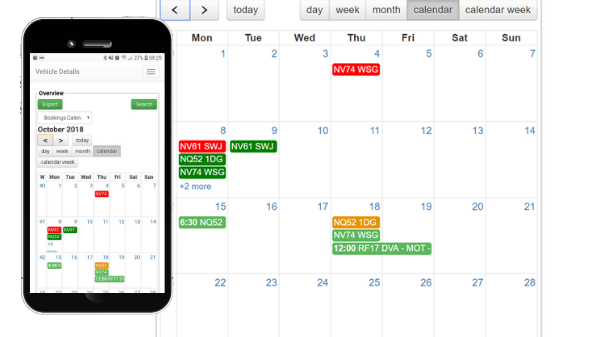 By combining a colour-coded calendar view with proactive reminders, you can vastly reduce the risk of your vehicles missing scheduled bookings and becoming non-compliant, or even unsafe.